PinUpp – PinUpp is the quickest & easiest way to generate a smart cool profile. Whether you're applying for a job, looking for a new gig or simply wanting to do an infographic for anything, PinUpp can help. PinUpp is the smart cool resume for the new revolution. 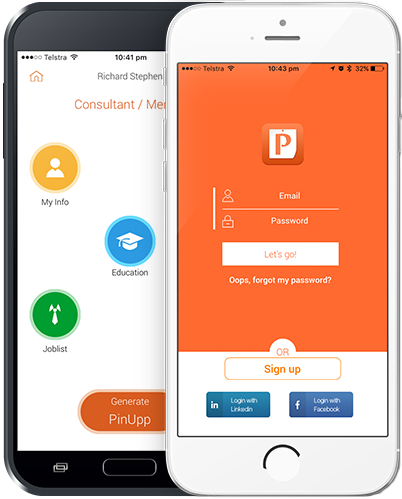 Whether you are applying for a job, looking for your next gig or just want to create a snapshot of yourself, simply generate a PinUpp and share. 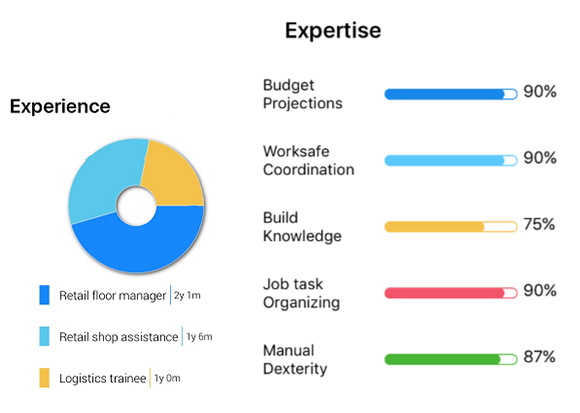 Be a part of the new "Gig Economy" with a new look profile. Less is more, show what actually matters and make it count with a PinUpp. We like simple too and PinUpp is as simple as it gets. Try it, its easy and free. 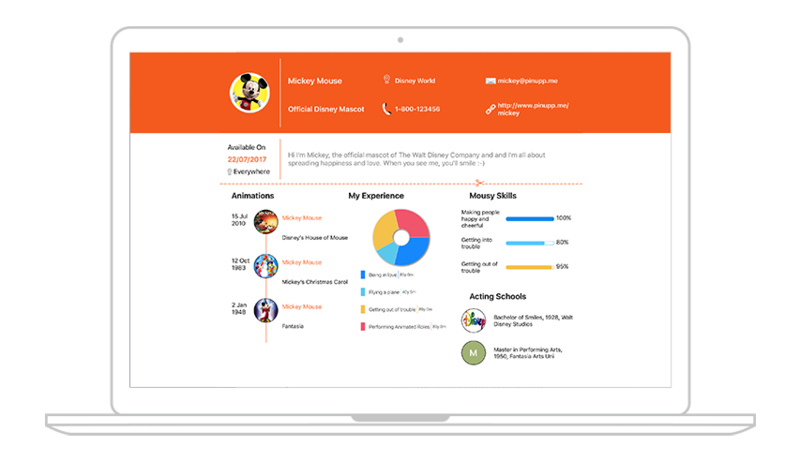 Change logos, change titles and create multiple profiles for different gigs. 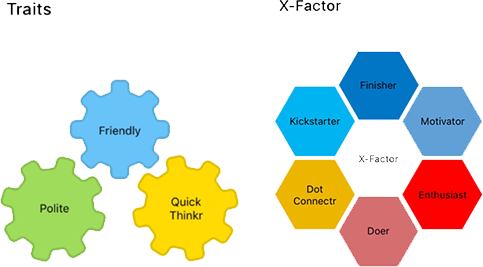 Make a good first impression with a smart cool profile. Showcase your brand. ...and why not do one for your pet you know they deserve it. Create your own unique PinUpp and stand out from the crowd. You know you are unique , now show it your way. of resumes received for jobs are discarded due to lack of creativity. 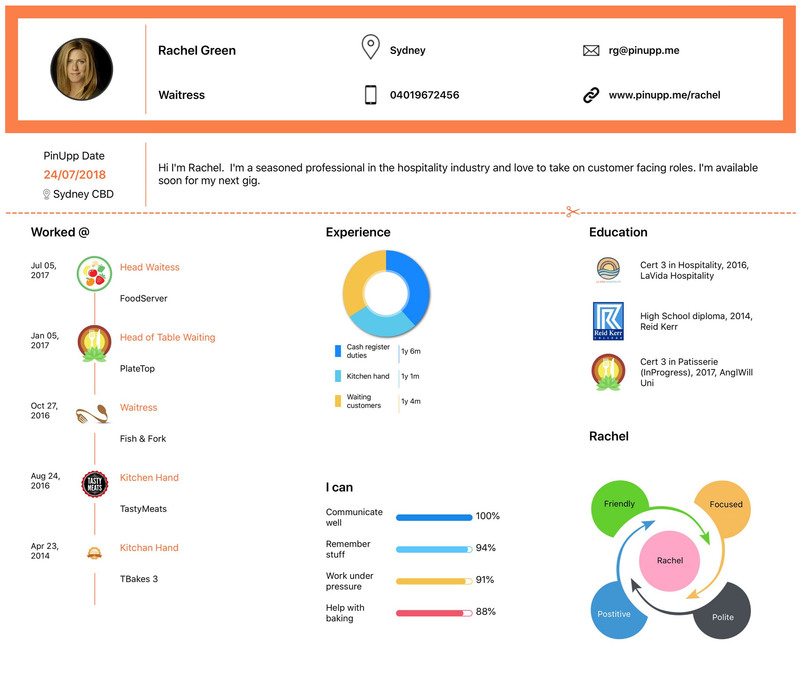 With PinUpp impress with a smart infographic resume. of the world's workforce would be part of gig economy by 2020. Join PinUpp and be a part of the Gig revolution. of millennial job seekers use a mobile device to looks for a job. Do up a PinUpp anywhere and share with anyone. Anything to tell us ? We are always open to hear from you. Just reach out if you have any suggestions, ideas or queries. We will be happy to help. Our Mantra: Make people look good. Copyright 2019 PinUpp by Godoer. All rights reserved.